Planning a vacation to Walt Disney World in Orlando? Here are 10 tips to make the most of your time in the Most Magical Place on Earth. Enjoy! The days of waiting in lengthy lines in the Florida heat to print out a paper FastPass are behind us. Since 2013, Walt Disney World has implanted digital FastPasses that allow park guests to book up to three attractions before even setting foot on Disney property, up to 30 days in advance for attendees and up to 60 days for those also staying at a Walt Disney World resort. 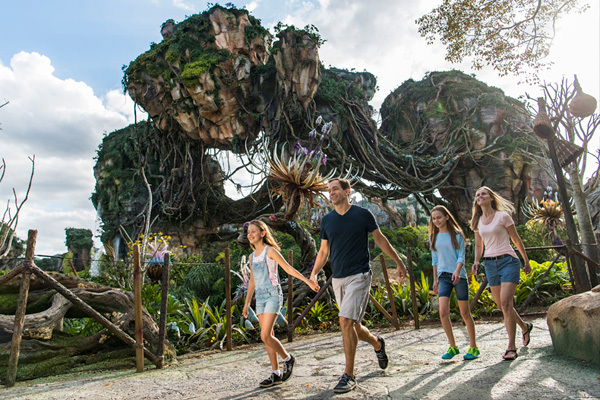 Trust us – it makes all the difference to planning ahead to ride must-see attractions like Space Mountain, Seven Dwarfs Mine Train and the newly opened Avatar Flight of Passage. Eating at a Disney park is not cheap. Though you can find less expensive snacks and meals scattered throughout the resort, you typically are going to spend at least $10 per meal, per person. For a solo traveler, this may seem like a stellar deal! For large families, however, that number can be a challenge. Instead of tackling in-park mealtime alone, consider booking a dining plan, which comes with a variety of meal offers, from quick-service meals to snacks and sit-down, deluxe dinners. Walt Disney World covers 27,000 acres; chances are, if you visit the parks for even one day, your feet are going to feel the repercussions. As a result, we always recommend the people mover. Set in Tomorrowland at the Magic Kingdom, the people mover is a slow-moving, relaxing attraction that encircles the future land and offers moments of breezy reprieve. On a hot day, especially, you will appreciate the cool break. Plus, with historically short wait times, you never know when a cast member may let you ride the attraction a second time without even getting out of the car! This advice stems from Magic Kingdom but can be applied to any park at Walt Disney World. When first entering a park, start your day in the very back of the property, passing attractions closer to the front. In the case of Magic Kingdom, for example, ride either Big Thunder Mountain in the far reaches of Frontierland or Space Mountain in Tomorrowland and then make you way back toward the front of the park throughout the rest of the day. This way, you start your day riding a popular attraction before other guests make their way to the ride queues. 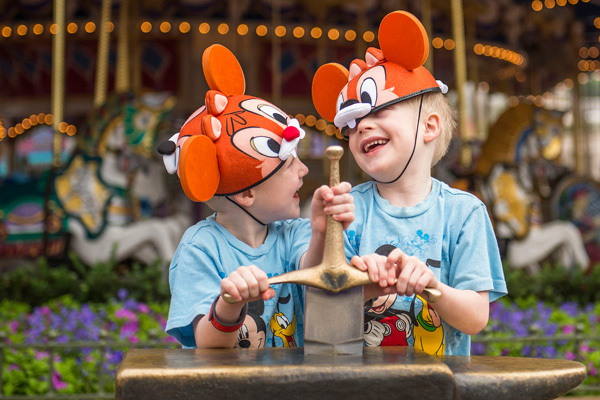 Kids – and many adults – love to meet their Disney favorite characters in person at one of the many theme parks. The trick to saving time and creating memories, however, is by opting for a photograph with your favorite Disney princess or furry hero rather than nabbing an autograph that will likely end up on a dusty shelf. If your younger kiddos ask you to ride a dark ride, your typical answer should be yes! A thrill ride, however, may sometimes be a tad too advanced for some of your youngest adventurers. A dark ride, as its name attests, takes place primarily inside of a building and tends to have calm speeds and smooth action. (Think Peter Pan’s Flight and Voyage of the Little Mermaid.) On the other hand, thrill rides tend to feature quick speeds, higher drops and heightened adrenaline, like Expedition Everest or Rockin’ Roller Coaster. Let’s face it: Florida is hot, whether in spring, fall or summer. To avoid any unwanted trips to one of Disney’s in-park clinics, keep yourself and your fellow guests hydrated by packing a refillable water bottle. With fountains location throughout each Disney park, it’s a simple and inexpensive way to beat the heat. One of the most challenging parts of visiting the Disney parks is the crowd size. To make sure you don’t miss any of your favorite magical attractions, create a list of your top-priority attractions before entering Disney. This way, you won’t miss out on your favorite experiences.